One of the most common statements made about the first Kingdom Hearts according to many is that the game has a fairy tale-esque atmosphere to it; for nothing more than my personal amusement Iâ€™ve decided to push this comparison even further and see how much KH1 shares with one of my favourite animated movies, Alice in Wonderland (the 1951 Disney variant). Apologies in advance if this sounds tacky or for some reason upsets anyone in any way: it's a purely emotional work with no other purpose than drawing some fun parallels. The very first introduction to Kingdom Hearts is the Dive to the Heart sequence, something that clearly has not direct link with Alice whatsoever. After that however some of the most obvious comparisons emerge: Sora, alongside Riku and Kairi, dreams of leaving the island and explore a different world, akin to how Alice wants to escape the boring lessons and imagines a whole new place, full of talking animals (pretty clear where Iâ€™m going with this last one). While still in the â€œeverydayâ€ world Sora sees a mysterious figure spouting undecipherable lines; much like the White Rabbit this encounter too sets the journey in motion, albeit in a more indirect way. The Rabbit also works as a parallel for Donald and Goofy, royalty-bound animals in a frantic hurry that were departing in that timeframe. To end this first paragraph we have the famous rabbit hole and the dark hole in which both Alice and Sora fall and that basically transport them to the actual â€œWonderlandâ€, the bizarre scenarios theyâ€™re going to see and encounter. Upon landing it is possible to have Sora move in the same areas as Donald and Goofy without ever meeting them, and Alice has fleeting vision of the White Rabbit that prompts her to explore further. The first character Alice meets and interacts with is the Doorknob, who roughly explains to her some basic rules that will be recurrent staples throughout the journey, such as eating to increase or reduce height, and he also mentions to her that she has the key needed to unlock him (the key will then appear). Back on the Kingdom Hearts side of the story, Sora is meeting Leon and Yuffie and is introduced to the concepts of Heartless and worlds and that heâ€™s the one who holds the key necessary to save them (the Keyblade materialized in his hand after Leon takes it). After meeting with Donald and Goofy Sora is ready to delve into the sea of worlds, while Alice rides a sea made of her own tears to enter â€œproperâ€ Wonderland. (going all the way a minor comparison of Alice needing to stop crying and Sora being told not to frown is also possible). In this early stage the two protagonists visit different places and experience various ordeals through the new characters encountered. On a surface level the events also can be linked, like the moral of trust and mistrust taught by the adventure in Deep Jungle or Tweedledum and Tweedledeeâ€™s story about the Walrus and the Carpenter, the desire of being recognized but failing at it, at least partly, with either Phil or the Live Flowers (in both cases thereâ€™s a brief case of mistaking Sora/Alice for someone else and a failed recognition of a hero or a flower), and obviously the size-changing mishaps happening in KHâ€™s Wonderland and at the Rabbitâ€™s House. 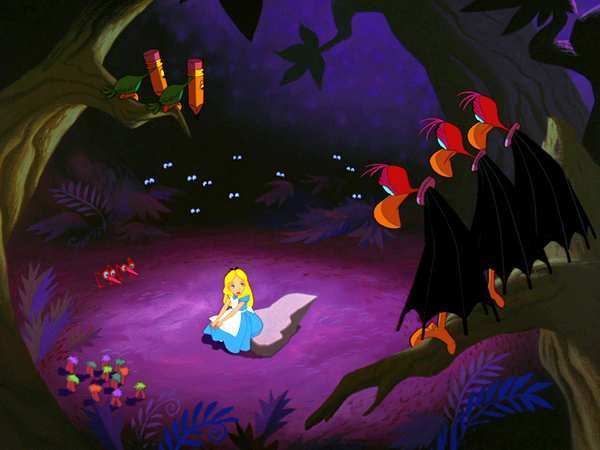 After this is the encounter with the Blue Caterpillar for Alice: a brief moment of respite, the whole narrative slows down and more focus is given to Aliceâ€™s predicament and her confusion about where she is and where she has to go, even if sheâ€™s still determined to find the White Rabbit. For Sora this situation is provided by regrouping with Leonâ€™s crew, listening once again about the Heartless, Ansem and his role. Another meeting soon occurs, this one to propel the story further beyond with more central characters: Riku and the Cheshire Cat. 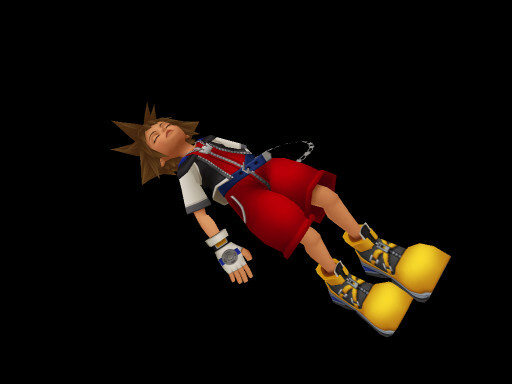 Riku is at this point in the game an unknown factor. Sora will see him as a friend, and even some players might feel that way, or at the very least theyâ€™ll be glad to find a character they know; others instead might feel wary of him, especially after he sudden disappears. The Cheshire Cat is not so different, as heâ€™s the first character who seems to know whatâ€™s going on and will have a â€œnormalâ€ talk with Alice, addressing her worries and pointing her in one direction. Heâ€™s neither a friend nor an enemy. Both characters set the stage for the next event that will be more of a turning point than the previous scenarios and then promptly disappear, leaving Sora and Alice entering the next phase. Sora will journey through more Disney worlds: minus some things at Agrabah and in Monstro, the main story remains untouched. Alice instead goes to the tea party held by the Mad Hatter and the March Hare. The sheer amount of nonsense and fragmented gags she has to put through can only be compared to the enemies and challenges Sora has to face: fillers, but stories in their own regard. Riku and the White Rabbit then reappear to reconnect the plot threads but the Disney villains, as well as the Hatter and Hare, ensnare them preventing Sora and Alice to break through. In the end all different parties go their separate way to meet again in the climax. Here is a deep moment for both the game and the movie: after a brief moment of optimism (Alice finding the way home in the lost woods and Sora strengthening his will to find Kairi), the characters get thrown into a dark abyss of despair and hopelessness. For Alice this is the moment when she realizes sheâ€™s completely lost and no one can help her, while Sora has a somewhat longer timeframe covering almost all of Hollow Bastionâ€™s first visit, with scenes of resumption here and there for obvious purposes. 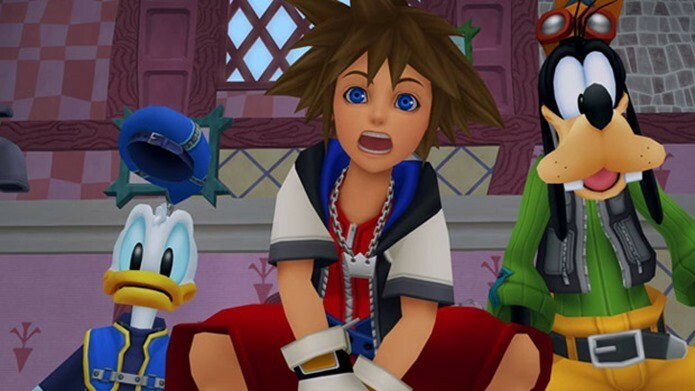 Both scenarios have a much bleaker and dark undertone than the previous parts: Alice sings a sad song that makes even the weird Wonderland creatures cry, and I trust I donâ€™t have to say much about Soraâ€™s sacrifice or even Donald and Goofy leaving him. Even the background in the movie becomes just a black void surrounding the scene, while Sora is seen falling in a similar pitch-black abyss. Once again, Riku and the Cheshire Cat appear to shift the story in its final phase introducing the main bad guys: Ansem and Queen of Hearts. Both antagonists have something missing (the Final Keyhole and the red roses) and take it out on the main character; also, something that makes the Queen particular is that unlike the others one can divide her â€œmeetingâ€ with Alice in two parts, the croquet match and the trial. 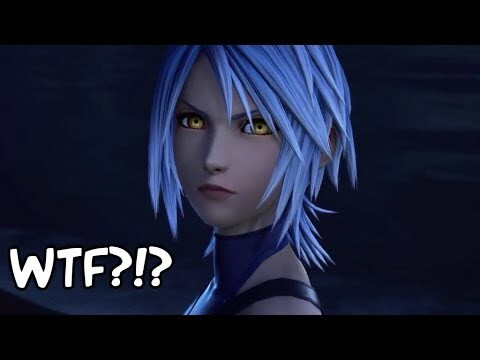 Akin to that Ansem is properly â€œmetâ€ by Sora in two separate events, the Hollow Bastion introduction and the final showdown at the End of the World. The White Rabbit finally reaches his destination just as Kairi is now awake: after Alice is struggling in the croquet match harassed by everybody else (Riku-Ansem is commonly looked up to as a hard fight especially since Sora is alone) only to fail (even defeating Riku-Ansem wonâ€™t change anything, but the intervention of both Riku and the Cheshire Cat briefly incapacitates Ansem and the Queen), the story moves to the last stretch of actual time in â€œWonderlandâ€. Alice is put on trial while many characters from previous segments are brought to testify against her, while Sora travels through previous worlds now full of enemies. There is one last â€œfightâ€ between the hero and the villain, and while Alice reutilizes a feature from the first half of the movie (changing size), Sora fights Ansem at Destiny Islands. Both talk down at their opponents utilizing knowledge learnt during their travels. Skipping a semi-apocalyptic boss fight that clearly canâ€™t find any parallel in the Disney movie, both stories showcase the various worlds and characters merging together: Sora has restored the missing worlds and sent everyone where they belong (but he refuses to go back), Alice is escaping from basically the entire cast while Wonderland is collapsing in its own madness. The boy closes the Door trapping Riku, Mickey and the Darkness on the other side, the girl reaches the Doorknob and sees her sleeping soundly in the real world. At the end, both characters are able to leave all those adventures behind and walk through a path in the grass (and no more deep woods for neither of them). Theyâ€™re not done yet, but for now theyâ€™ve taken what theyâ€™ve gathered from this experience, both the good and the bad, and are now prepared. Here ends my attempt at comparing the two works, hoping it managed to entertain someone but dreading that it appeared too dull or forced perhaps everywhere. I understand if some will find this off-putting or even lame. 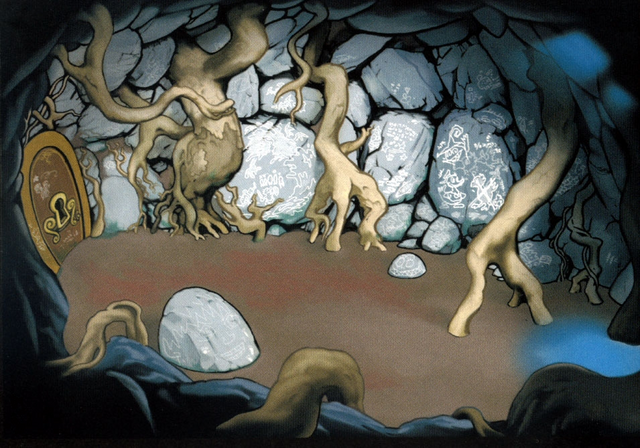 And yet I still think comparisons between Alice and the first KH can be made: both are stories of a journey through unseen lands with ever-changing worlds and creatures, and some morals are also similar. The curiosity that prompts Sora and Alice to explore different realities, only for them to realize itâ€™s not always how they imagined it to be; the way they search for a way home (and friends) as soon as they realize their idea backfired; and the anguish when they fail and think all is lost. 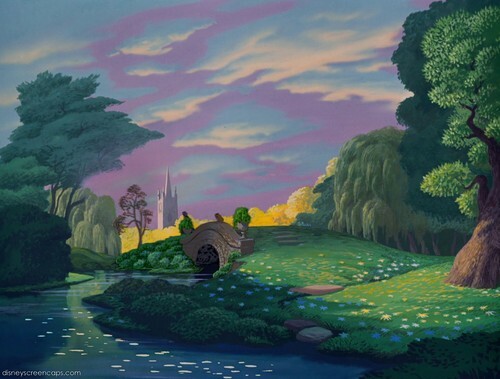 The concept of â€œWonderlandâ€ and what it represents itâ€™s something that fascinates many people, and in this view itâ€™s not impossible to me to think of Wonderland as a parallel to the way the worlds are in KH1, with the Darkness to act as some sort of madness. Aliceâ€™s continuous struggle and subsequent escape from the madness surrounding her is much akin to Soraâ€™s efforts in warding off the Darkness from the remaining worlds: and much like the first, in the end one can only seal it away, with the Door to Darkness and the Doorknob to act as the physical barrier between Light and Dark, Sanity and Madness, Order and Chaos. All of these thematics resonate deeply within me, and this was me trying to express these emotions in a practical way. Now Iâ€™m really done. I hope you liked it, and thanks for reading this far! and thats why there are so many different versions of sora and kairi. in truth sora is just one of kairi's multiple personalities. he is actually the personality of her unborn child. remember in KH1 when riku told sora, kairi was inside him? what he actually told kairi was that sora was inside her, as in she was pregnant with their child. all of which are just shattered fragments of Alice A.K.A Kairi herself.